Ferries are running better than ever, but the Steamship Authority needs a management overhaul. 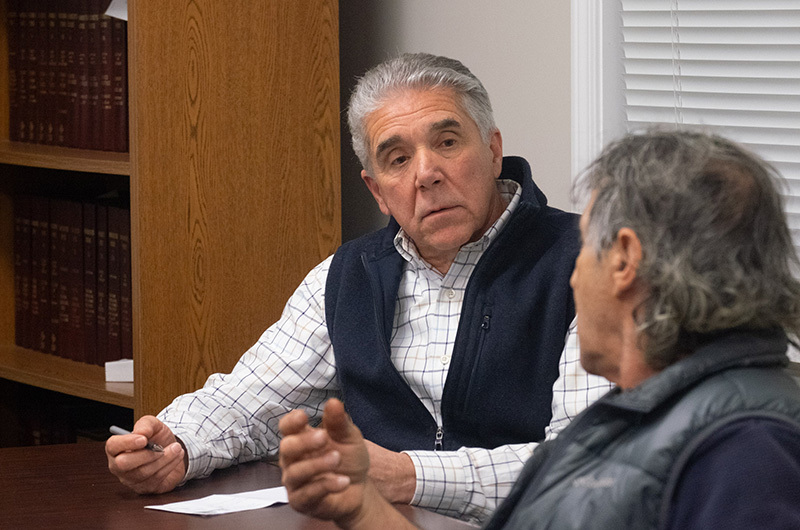 That was the message from Vineyard SSA governor Marc Hanover to the Dukes County commission at a meeting Wednesday afternoon, three weeks after the release of an independent report from marine consultants that outlines a long list of internal and operational problems at the boatline. Mr. Hanover said he doesn’t agree with all the consultants’ recommendations, particularly to hire additional managers. “I think it’s overkill,” he said. But he acknowledged that key personnel decisions, including to fill open positions such as treasurer and port captain, are moving at a “glacial” pace. And he said internal improvements are needed, even if it means shifting away from the boat line’s traditional emphasis on the bottom line. “To be frank, one of my goals is to keep the fares as low as possible, but not to the detriment of the company,” Mr. Hanover said. He said governors plan to address the next steps at public round table discussions throughout the winter months, including on the Island although none have been scheduled yet. Mr. Hanover said he plans to propose changes of his own, including upgrades to the SSA website and reservation system. “That’s where we’re going to set the course,” he said. Newly sworn-in commissioner Keith Chatinover suggested more transparency would be a good place to start. Commissioners Christine Todd and Leon Brathwaite asked for an update on the $60 million Woods Hole terminal demolition and reconstruction project that is eight weeks behind schedule and has faced public backlash over the design. Mr. Hanover said contractors plan to make up the time over the winter. And he said the new terminal is urgently needed, even if the final design isn’t perfect. “At some point a decision has to be made and I don’t think everyone will be happy,” he said. Meanwhile, a petition formally opposing the new terminal design continues to gather steam. An update from petitioners sent to SSA general manager Robert Davis on Thursday morning showed the petition had 625 signatures. 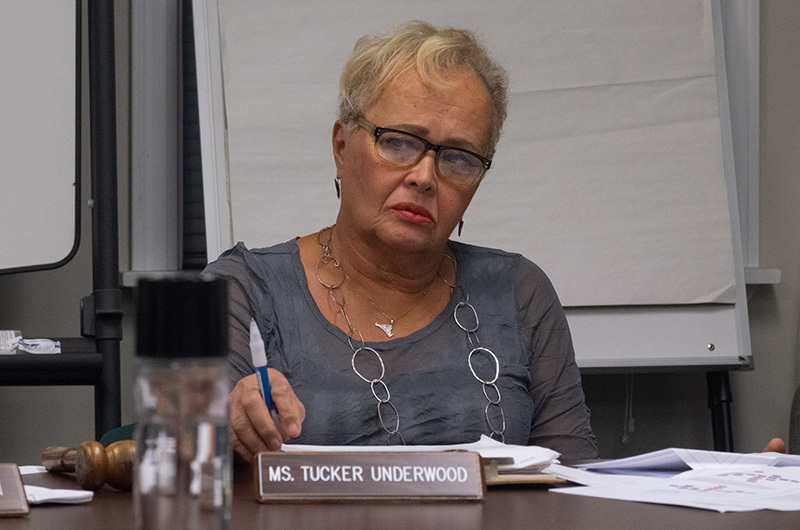 In other business Wednesday, commissioners voted to elect Gretchen Tucker Underwood as the new board chairman and Tristan Israel as vice-chairman. They also set a Feb. 1 deadline for applicants for two seats on the Martha’s Vineyard Airport Commission. Commissioners Kristin Zern and Don Ogilvie are up for reappointment. Ms. Zern plans to seek reappointment. Mr. Ogilvie said he is undecided. The positions will be advertised, county manager Martina Thornton said. Interviews will be held on Wednesday, Feb. 6 at the county administration building. There are seven members of the airport commission with staggered terms. All are appointed by the county commission. Interested applicants are encouraged to contact county manager Martina Thornton for more information. What are Marc Hanover's other goals for the SSA? He mentions just one in the article. I'd like to know what his qualifications are, too, because confidence is still not high with the SSA. He mentions management needs an overhaul. Well I would think the board let management get in the situation it's in - the board oversees management, or is supposed to. If anything, let's start with a board replacement effort first, with qualified individuals replacing what is a clearly deficient slate of members. No new, outside managers will be interested in taking a job with an SSA that Marc admits needs an overhaul, nor work for a board that has no vision. Maybe that's why recruiting is moving at a glacial pace. “The boats have never run better and safer, there’s no question about that," according to Marc Hanover. What fantasy world does Hanover live in? Has he never viewed the SOSA Facebook page about the Steamship Authority's continuing abysmal operations? Shame on the Dukes County Commission for tolerating such nonsense from its appointee to the SSA Board. I applaud Marc Hanover's leadership. He, as I recall, was one of the few SSA Governors who strongly advocated a thorough evaluation of the Steamship Authority from an independent consultant. And we got it. He now appears to be stepping up and attempting to implement the findings. I've met Mr Hanover only once but he impressed me as a smart businessman with a strong commitment to our island. I thank him for that. I think Marc is better qualified to run Linda Jean's than to oversee a complex SSA. Sorry, but a smart restauranteur running a $1 million kitchen is not the right qualifications to lead and set vision for a $100 million SSA. The more he talks the more he reveals how little he understands the details of SSA operations. I don't call that leadership. The SSA board should really stop talking to the media, every time they do they appear out of touch with reality. The problems are real, theirs no vision or leadership, they admit the change rate is glacial and $60 million on a new terminal. So let’s focus on the positive? This level of non-performance would never be allowed in a public company. The public is the loser here, change is needed for confidence to be restored. Mr. Hanover’s comment about, “Shifting focus away from the bottom line”, “keeping the fares as low as possible, but not to the detriment of the company” are red flags for massive rate increases. Why is it when incompetent presidents, managers, etc. get paid lots of money to do a job, take in an abundance of revenue and still can’t run the company right, we, the people (patrons) have to pay for their mismanagement? I am tired of hearing that same old song, aren’t you? ... a very senior Captain presently put it to me thus: “ it’s goin on three years without a report on the Iyanough crash... so don’t expect honesty... That boat hit the rocks at mid- tide. At low it would have hit a wall- at high tide it would have gone airbound and that mighta been worse. No problem. Just don’t expect anything forthright from this bunch ....Lamson and Parent are still at the helm...” What will it take to get face facts and get honesty? The SSA is under fire for its proposed design for a new terminal in Woods Hole. No wonder. The current proposal is overlarge, and looks more like a 1970's ski lodge than something you might expect in our part of New England. Woods Hole used to have a nice train station. Buzzards Bay still does. So does Falmouth. That architectural style might be a more appropriate well for the SSA to use as an inspiration or model for a new WH terminal building. “It’s been a real eye opener, this report,” Mr. Hanover said. That's because he's been asleep at the wheels or asleep in bed with the SSA. Time to go, Marc Hanover! Need someone who is representing us islanders. Get rid of Hanover! I think it is LONG overdue for another County Review Commission to be formed!! Wasn't that part of the decision that was agreed to several years ago?..! I guess "alternative facts" are now acceptable? Let's face it, this assessment was not ordered because “The boats have never run better and safer, there’s no question about that,". It was mandated because of the exact opposite! That statement raises a significant question as to the responsiveness, and fitness to serve, of the SSA Governor. No?